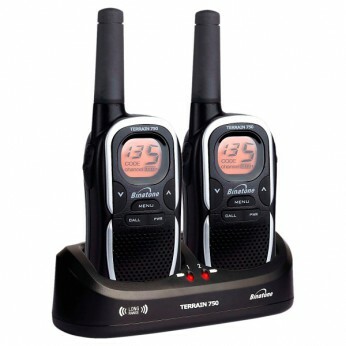 Long range two way radio equipped with enhanced sound. Up to 8km range depending on environment and terrain. Dual desktop charger pod. Super bright illuminated backlit display. Rechargeable batteries included. This toy costs approximately £42.99 (for the latest and best prices make sure you check our retailer list for the Terrain 750 2 Way Radio above). In our review of Terrain 750 2 Way Radio we classed it as being suitable for ages 6 years, 7 years, 8 years but recommend you check the manufacturer specific advice before purchasing.